Norway is a ruggedly beautiful country that stretches 1,550 miles (2,500 kilometers) from the North Sea towards the North Pole. This westernmost country in Scandinavia is home to just five million people; one million of those live in the urban areas of Oslo and Bergen, with the rest spread out all over the country. 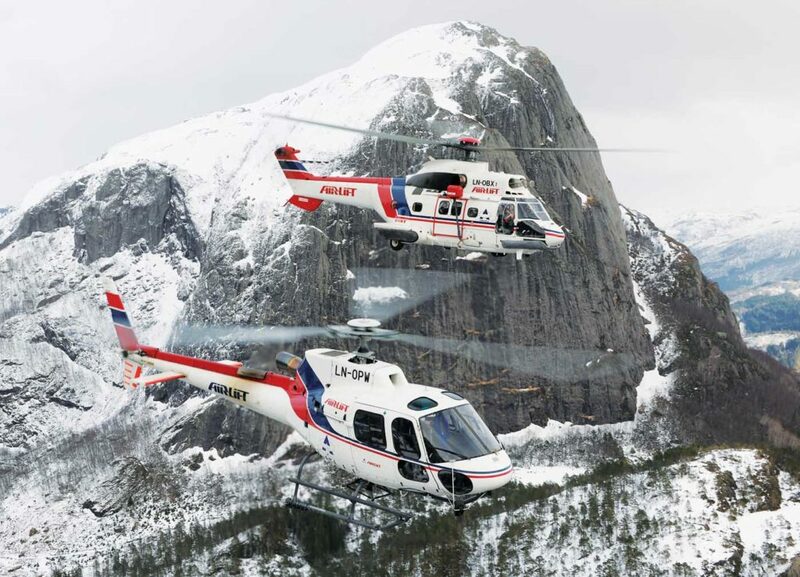 For over 30 years, utility helicopter operator Airlift AS has helped to connect Norway from its base in Forde, in the country’s southwest. “We are busy with powerline construction, because you need power to every house in Norway,” Børre Eimhjellen, the operator’s chief commercial officer, told Vertical. Airlift began in 1986, when local businessman Torbjørn Lie established the company at Forde Bringeland Airport. 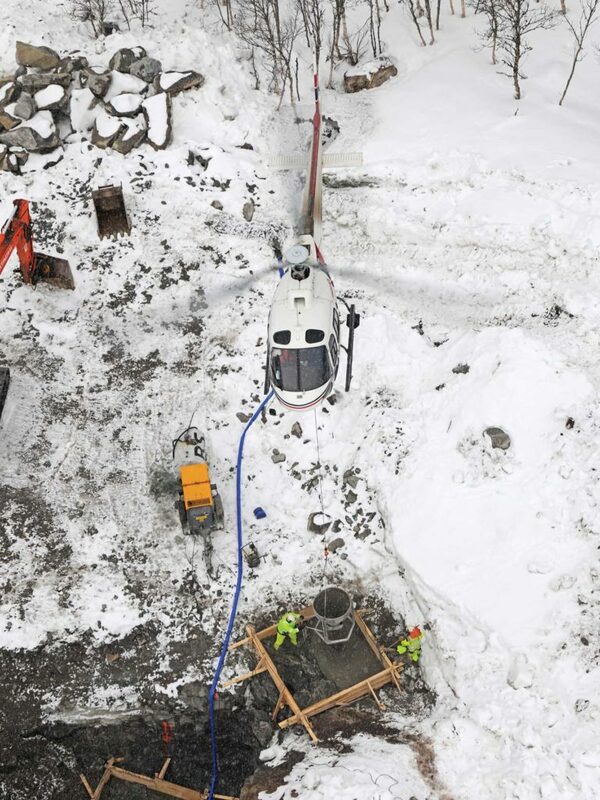 Lie recognized the opportunity for helicopter operations to support the construction and maintenance of the numerous hydroelectric powerplants in the region. Construction company EEG Henriksen held 95 percent of the shares of the new venture, which started with a single Bell 206 JetRanger. Just a year later, the fleet had expanded to include a Bell 205, a Bell 214, and the first of Airlift’s Airbus Helicopters, an AS350 B1. 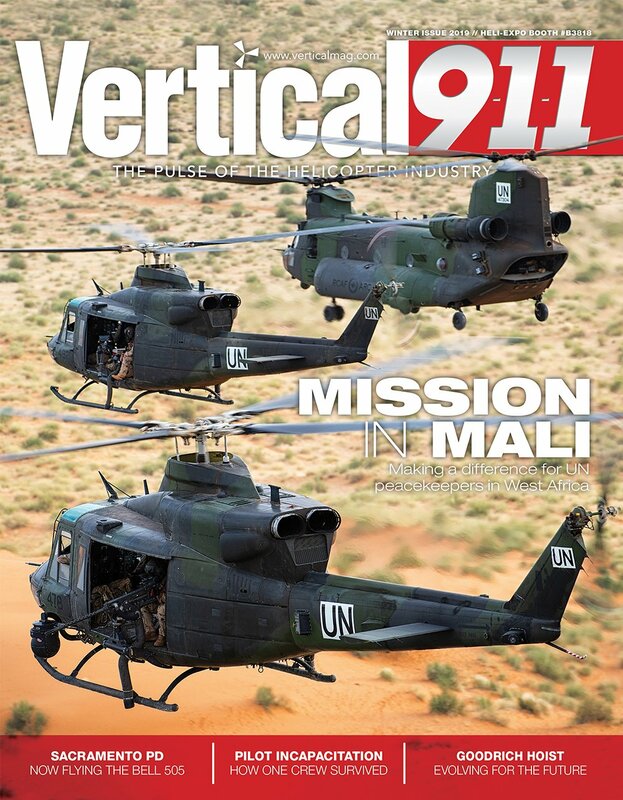 Now, more than 30 years later, Airlift has focused on the AS350 B3 as its “go-to” helicopter. It has 12 of the utility machines in its fleet, along with two AS350 B2s, three Leonardo AW169s, and an Airbus AS332 C Super Puma. Two of the company’s AS350s are currently dry leased to another operator, leaving Airlift with an even dozen machines. The fleet is spread throughout a number of bases in the region. 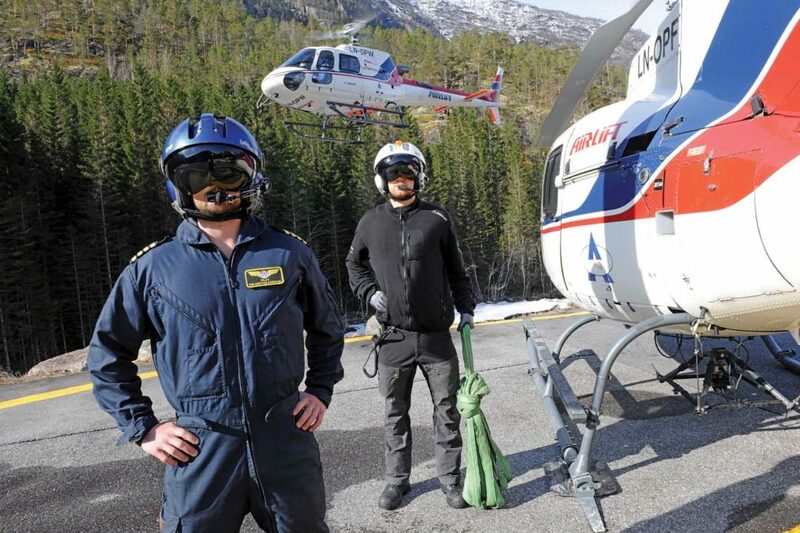 Four AS350s and the heavy-lift Super Puma are at Airlift’s main base in Forde, three AS350s are in Kinsarvik, and one AS350 is in Stranda — with four more machines working at nearby project sites. Airlift’s three AW169s are tasked specifically with marine work. The crews fly sea pilots to vessels and perform crew changes for the TeeKay Corporation’s fleet of shuttle tankers that transfer oil from offshore production platforms to the mainland. Two of the bright-yellow AW169s are based in Hammerfest, on Norway’s far north coast, with a spare on the southern coast in Bergen. Although the offshore work is an important diversification for the company, it has stayed focused on its work over Norway’s rugged terrain. The towers have been engineered in Norway and are designed to meet the lifting and handling capabilities of the AS350 B3. 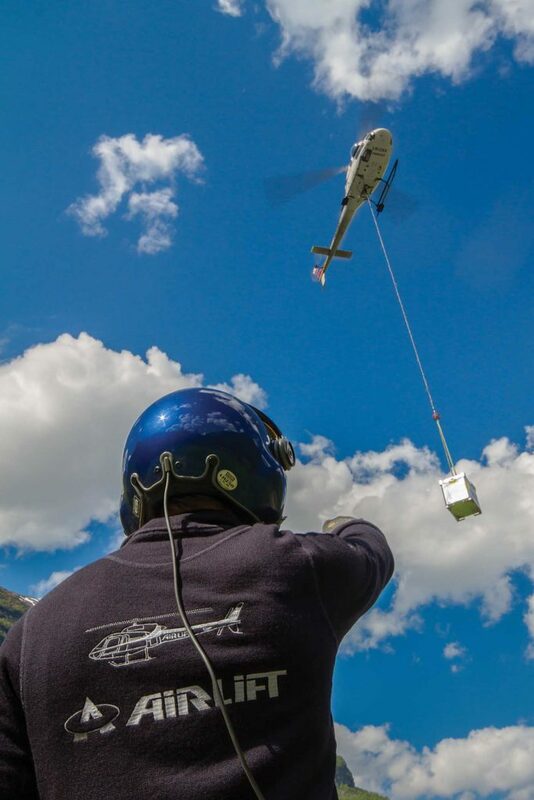 “The way we build the towers in Norway may differ from how it’s done by other operators around the world, where they require docking,” explained Arvid Holen, one of Airlift’s experienced powerline pilots. In a docking installation, guides are attached to the tower’s components. It’s up to the pilot to maneuver the bulky load into position and use the guides to slide the pieces together. But Airlift has honed its assembly process without docking, according to Holen. “We’re actually flying the towers piece by piece,” he said. “There are workers standing in the towers receiving the part and mounting it. That way, we can use the AS350 instead of a heavier helicopter. Once the towers are in place, stringing the powerlines is the next challenging operation. 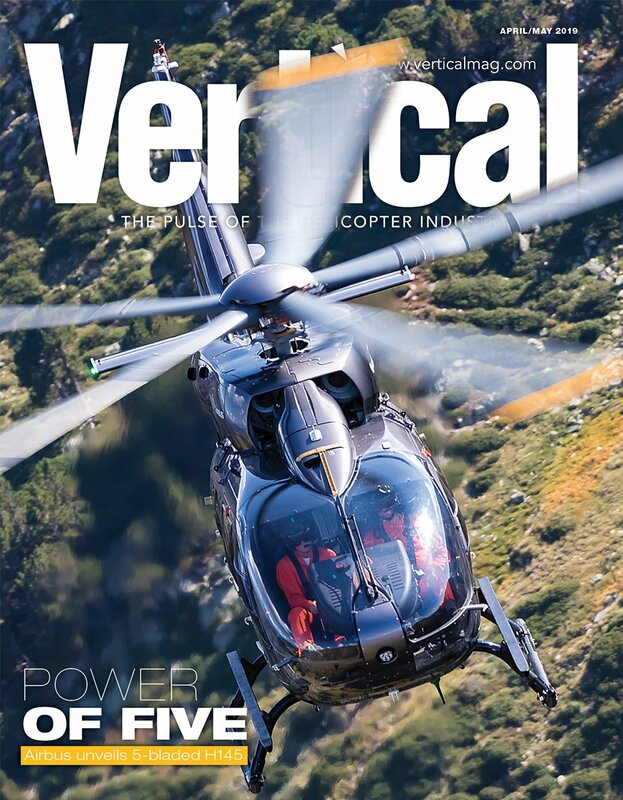 To reduce the workload for the pilots, Airlift has equipped two AS350s with a side-mounted hook to pull the pilot lines. “This is a known, but not widespread method of pulling lines. The pilot has more control of the line, can see the line better and the helicopter has more line-pulling capacity, so we can pull longer lines more safely, efficiently, and faster,” said Eimhjellen. 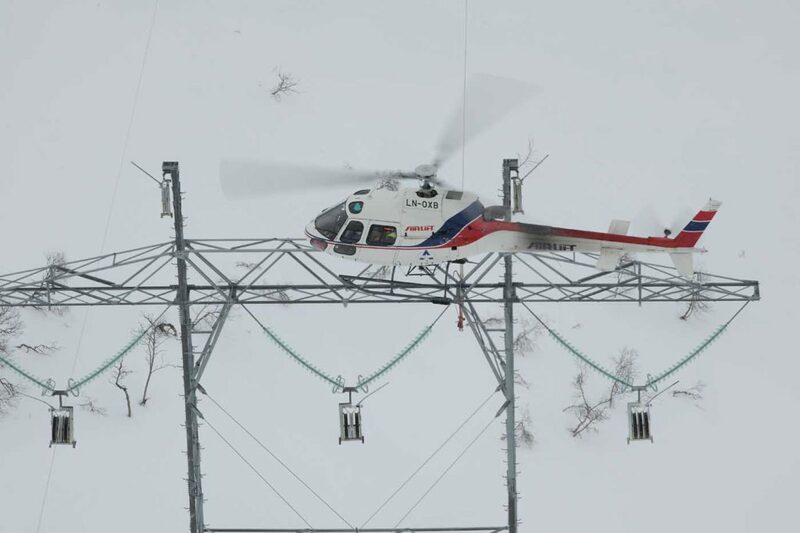 With Norway’s weather extremes, the electrical grid’s powerlines are subject to icing. It’s critical to remove a significant buildup of ice before the weight damages or breaks the lines. Airlift has come up with two ice removal systems, each deployed depending on the type and severity of the ice accumulation. 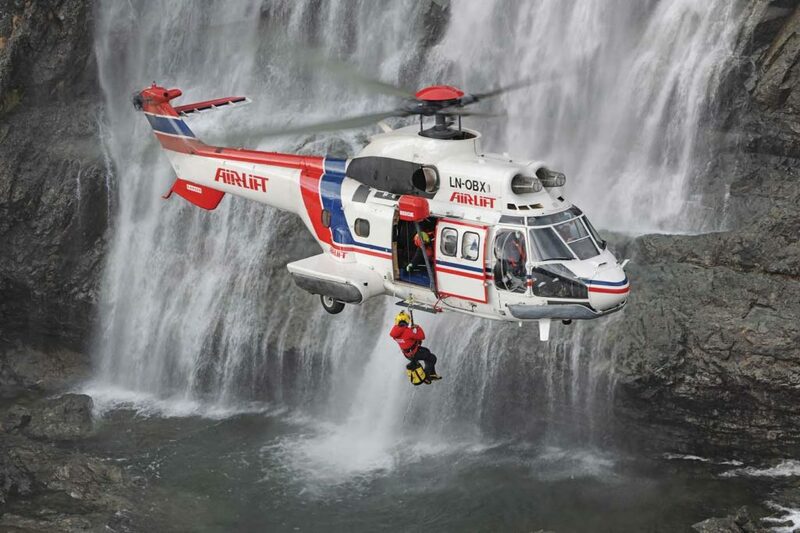 Developed by Airlift in collaboration with the Norwegian state-owned power company Statnett, the IFIS system is deployed on a line under the helicopter. The unit is dragged along transmission lines, scraping the ice away, and has an integrated, pilot-controlled electronic vibration system to tackle heavier buildups. But the other system uses a brute force approach. “We have had quite a lot of success with something as simple as a wooden pole that is attached to the long line. You just knock it gently into the conductor or pull it alongside, and the ice drops off. It’s kind of like a wooden hammer,” said Eimhjellen. 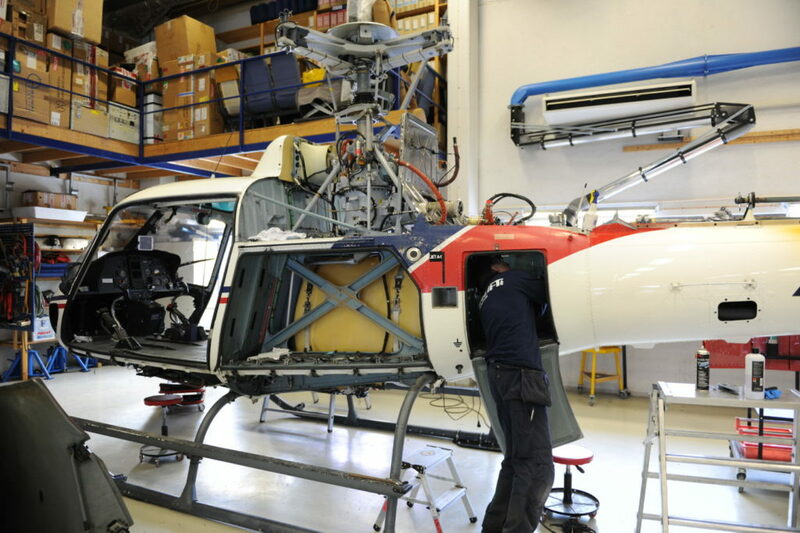 About 50 percent of the revenue generated by the AS350 fleet is related to powerline construction and maintenance. The machines, along with the Super Puma, are also deployed to support construction of new hydroelectric dams. 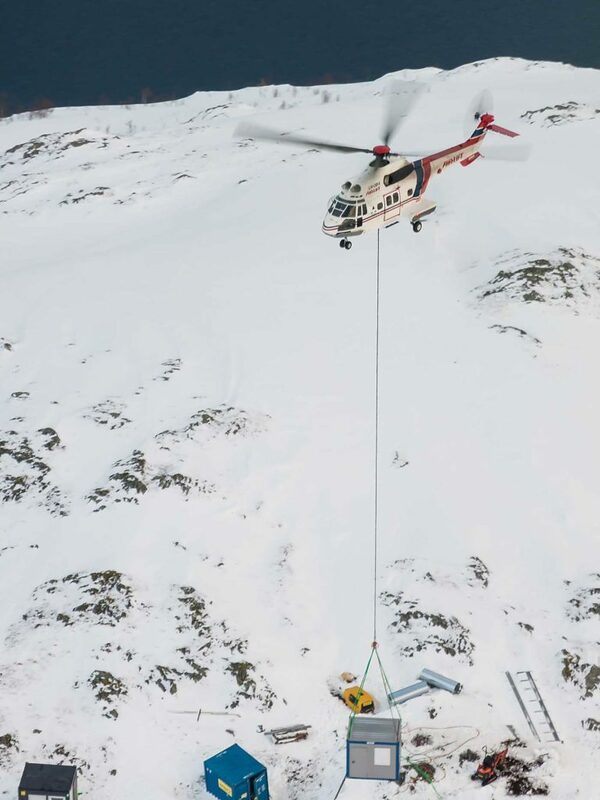 Other AS350 assignments include work for Norway’s telecommunications companies, such as placing cell phone and emergency communication grid antennas and repeaters on mountaintops. The AS350s and the Super Puma have also been deployed on Arctic and Antarctic expeditions for the Norwegian Polar Institute, and ecological projects including polar bear and bowhead whale counts. The company’s helicopters have been based as far north as Svalbard, the Norwegian island group located just 1,000 km from the North Pole. 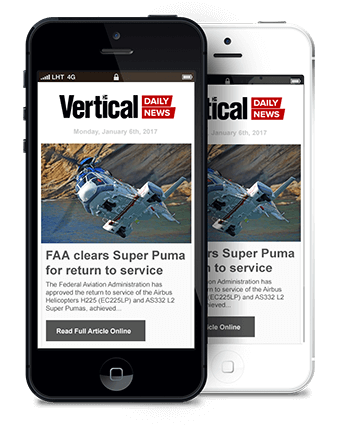 That’s not to say that Airlift sees the increased use of drones to solely be a threat to the company’s bottom line. In fact, Eimhjellen explained that Airlift is being proactive in developing a strong relationship with Norway’s drone operators. He expects that Airlift will focus on line-of-sight drone operations, but is keeping an eye on beyond-visual-line-of-sight (BVLOS) initiatives in other countries. While drones might be in the company’s future, Airlift’s 105 employees, including a cadre of 48 pilots, continue to support and fly utility missions all over the country. having gained experience with Airlift as a loadmaster. Although loadmasters join the company with a helicopter pilot’s license, it can take years before moving into Airlift’s pilot training process, and then to be a fully capable pilot-in-command. Similar to other operators, Airlift’s loadmasters ensure that external loads are properly attached to the helicopters and assist the pilots in safely clearing the flight operations area. 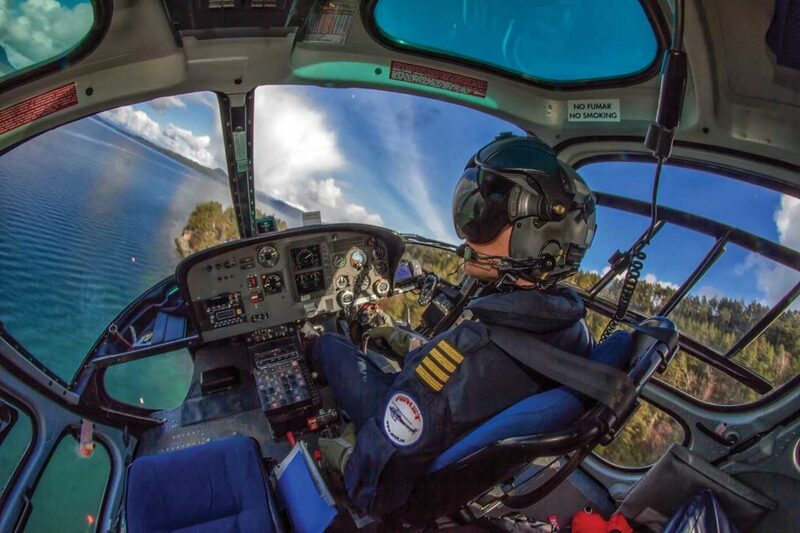 During ferry flights, loadmasters are an integral part of the crew, handling the radios and navigation, and helping the pilots. 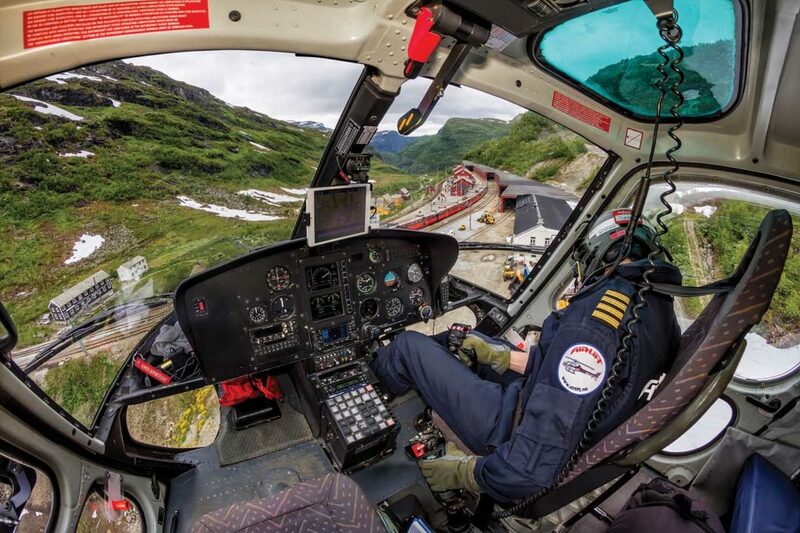 Flying missions over Norway’s inhospitable terrain and through its ever-changing and challenging weather requires a strong safety culture, managed by Tom Østrem, AS350 pilot and safety manager. 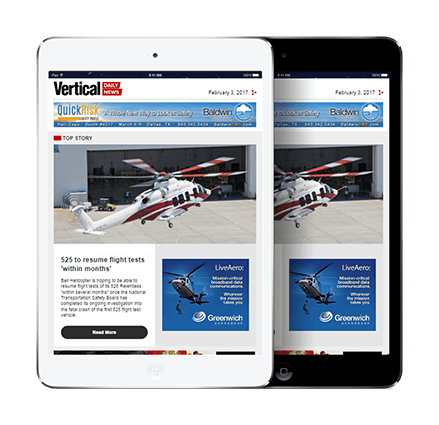 Østrem recognizes the importance of sharing safety information between operators worldwide and is proactive in creating incident summaries for Airlift’s pilots. “On the global scale, we’re a small company, so to compensate for that we have to learn from the mistakes of others as well as our own,” he said. “If we are not able to learn by our own mistakes, we have to learn from the mistakes of others. It’s important for us to gather information about incidents that have happened globally that share similarities with our operations to raise awareness and help us identify hazards. After spending years with Airlift, moving from loadmaster to pilot, crews understand the company’s focus on safety, and have the training to handle more and more challenging assignments. “We get to shape pilots with ‘the Airlift Spirit’ from the get-go, and mold them into the pilots we need them to be,” said Østrem. Like many small operators, pilot training at Airlift takes place in the company’s machines. 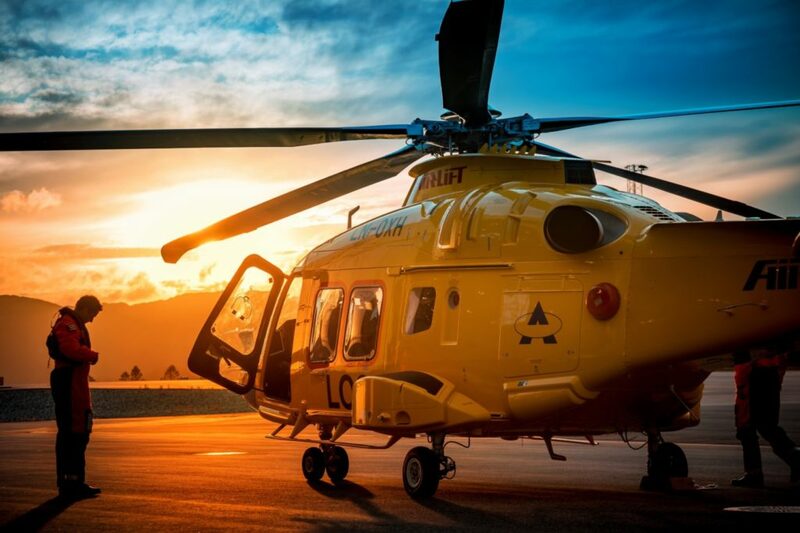 However, Norway’s Civil Aviation Authority (CAA-N) and Norwegian operators are now focusing on the availability of an AS350 simulator in Scandinavia. And while there may be friction between operators and regulators in other countries, that isn’t the case in Norway, according to COO Eimhjellen. 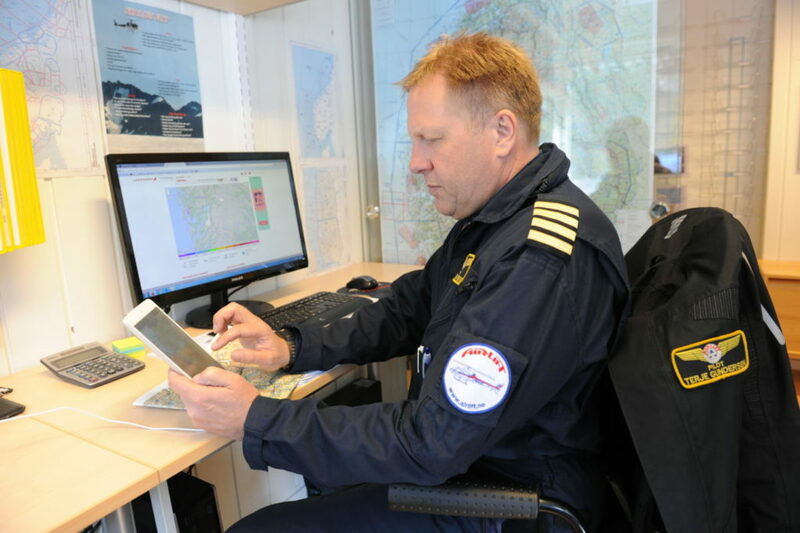 Going forward, Eimhjellen expects to maintain Airlift at its current size, but acknowledges that it may be a struggle. “I believe that the future is challenging, because the market is pushing prices downwards,” he said. “Customers are asking for an hourly price and a per-minute price, and they don’t ask questions regarding competence and safety. We have to somehow train the market that higher proficiency and education is beneficial to the customer. That is very challenging, and we face it every day. And while the future unfolds, Airlift pilots like Tom Østrem will keep flying over a remarkable country.